Getting involved in an auto accident can lead to many undesirable consequences, including loss of earnings, personal injuries and much more. This driving act may become a habit the more you drive, but every time you sit on the driving seat, you hold the responsibility for your life and those around you in your hands. Auto accidents can happen anywhere, anytime. A research study shows that most of the severe auto accidents happen just within five minutes of your own house. Even with latest technology and an emphasis on the safety of automobiles, auto accidents are continuing to occur. 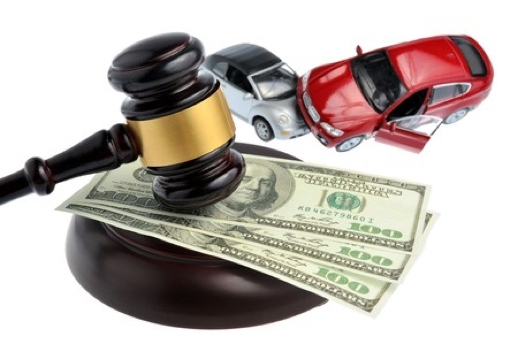 While it’s vital to know the top most common causes of auto accidents and ways to avoid them. The causes of auto accidents can seem countless as there are endless variables factors into car accidents on the road. Strokes, seizures, poor eye vision, heart attacks or even falling asleep during driving can lead to serious auto accidents. While medical conditions are quite difficult to control, it’s is crucial to think all these risk factors before driving. In case you are feeling unwell or have forgotten to carry your spectacles, you should not drive in such condition and look for someone’s else who can be your designated driver for that time. Texting while driving may be lawfully banned in some countries. But some people still tend to break this law, and even after knowing that it is the major cause of auto accidents and sometimes death. Texting while driving can distract you and increase the chances of getting into a serious auto accident. Never text and drive together. When an individual drinks, he/she loses the ability to function properly and focus on driving and it can be quite risky when operating an automobile. Drunk driving is one of the top causes of serious auto accidents every day in almost all the countries. Every day many individuals lose their lives due to drunk driving. If you are drunk, always hire a designated driver to drive for you. The bad weather also affects the roads. Auto accidents take place in bad climatic conditions like snowfall or heavy rain and water on the road. Such conditions can create dangerous and slick surfaces for automobiles and often causing the vehicles to spin out, or slip while braking. To prevent an autosnowsident, it’s better to drive with extra caution when it rains or snows heavily. Falling asleep at the wheel during driving is another reason for auto accidents. In case you are feeling tired while driving, you should get yourself to the nearest hotel or restroom and take rest. If you want to keep driving, have a hot cup of coffee to keep you awake. If the unexpected happens and you get involved in an auto accident, the best thing to do is to hire an auto accident attorney. The best accident lawyer has the expertise and experience that is required to represent your case.